Sigma has updated the firmware for their MC-11 EF-E converter * to version 1.23 and improved the functionality and compatibility with the below mentioned Sigma EF lenses. 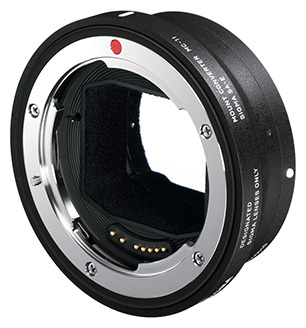 Below is a list of EF mount lenses that have firmware updates; a detailed list of the updated functionality of each lens can be found in the press release. Sigma has also improved the accuracy of exposure when it is used with dedicated flashes manufactured by SONY, no flash model details were provided. Further details and download information can be found on Sigma’s website here.